Pam Victorio is a literary agent at D4EO in Connecticut. Launched in 1989 by Bob Diforio, formally of the New American Library, D4EO have associate agents in Seattle, Florida, and Washington D.C. In her early career, Pam van Hylckama Vlieg worked in media marketing for four years before her appointment as a community manager for Yahoo!. In 2009 she started the Bookalicious website. It quickly became one of the most popular blog sites on the net, offering reviews, interviews, and publishing news. Such has been its success with readers and writers alike, that a second website was recently launched specifically to handle the reviews with a team of literary agents and bloggers. In early 2012 Pam joined Larsen Pomada Literary Agents as an Associate Agent. Over the course of the subsequent year, she built up an impressive roster of clients and secured them deals with leading publishers. With this experience and success, Pam combined forces with, Laurie McLean, and Gordon Warnock from Andrea Hurst & Associates to becomes partners in their own agency, Foreword Literary. 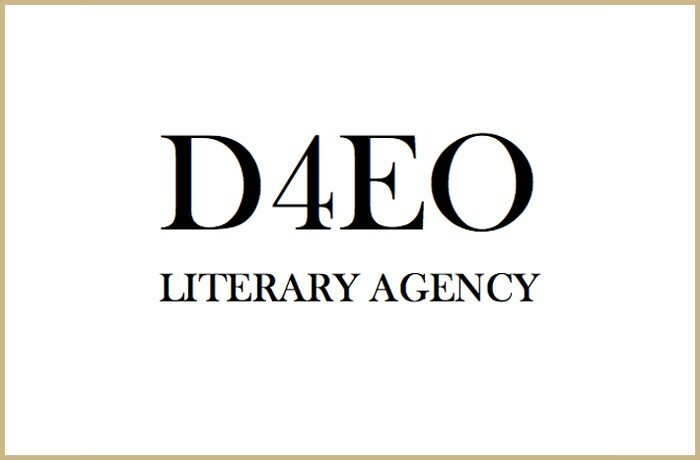 After one year of establishing the agency in the marketplace, Pam decided to concentrate on her clients and less on the management of an agency, and left to join D4EO Literary Agency in the summer of 2014. Pam is also a published author in her own right, in the Middle Grade and YA genres, and represents clients in the same genres in which she herself writes. She has also become one of the most followed literary agents on Twitter, due in part to the excellent advice she often tweets. So on the off chance you are one of the few yet to discover her Twitter feed, do please click the follow button at the end of this interview for continued advice and great links from Pam. In your earlier career in media marketing what did you learn about packaging and branding that enabled you to increase sales of a product line? Was there a contrast between the impact of online and physical advertisements on any given brand? Were there any book campaigns concurrently running from publishers during this period that you believed you could have significantly improved with your marketing skills? My job was basically to make a package for advertisers using the best of TV and newspaper ads. I really liked digging into a business portfolio and seeing where I could use the ad space I had to visibly increase awareness for a product or a brand. I bring that same 'what can I do' attitude to the table with clients. I help them plan their launches right down to the color and text of a bookmark. When you started the Bookalicious website, was your marketing background an advantage in knowing how to promote the blog and distinguish its voice in the cacophony of online bloggers? What elements of the site’s design did Marco incorporate outside of your brief to further enhance its brand? I do think that marketing had given me insight on how to make a great blog. I had already ran a successful blog about European music that had landed me a gig being a band manager for some really cool Scandinavian bands that you have never heard of. My early 'reviews' were just a play by play of the book. If you don't feel like reading Inkheart or Memoirs of an Heiress just search for the Bookalicious review of those. My blog is one of the most important assets that I have as far as internet property. I have the Bookalicio.us that I've turned into an agent/writer/ranty place, Bookalicious.org where I have a ton of cool reviewers and I am not solely responsible for content, and Brazenreads that houses romance reviewers. When I need anything designed I just go to Marco. I don't ask for anything, I let him be creative. Marco designed this site years before some of the elements were easy for most developers, and its based on my personality. The curio of a crotchety old lady. In reviewing a cross-section of books for Bookalicious, did you indentify any contrasts between how novelists and debut authors tackled their opening three chapters? Were you able to draw any conclusions from this to aid your own writing? When I sit down with a book I don't know if I am going to review it or not. That type of reading is super subjective for me and I'm reading for entertainment. Bookalicious is less literary criticism and more about how to get a bang for your entertainment bucks. By listing out the subjective reasons a book worked or didn't work for me consumers are able to decide if that book may work for them. I turn my literary brain off and enjoy the abandon. During your career as a literary agent, what mistakes have you seen in the slush pile manuscripts that you never saw within the pages of the published books you reviewed for Bookalicious? Without a doubt the biggest thing I see is repetition of words. The same word used over and over again in the passages. Also the use of someone's name constantly. How often do you say someone's name in conversation? I'd be willing to bet it isn't as often as you are using them in dialogue. Does your extensive marketing background create additional pressures and a higher benchmark for publicists that you work with in managing their own book campaigns? I definitely guide the publicists and have plans in place for them to refer to. But I do trust their knowledge and expertise. Do you believe diversity from an agency by encouraging multiple platforms for a client's work, such as apps; games; comics; magazines; web series shows; and even self-publishing, not only ensures longevity in the industry, but could become the standard agency model for all literary agencies in the rapidly changing world of digital content? We care about these things. If other agencies care about stories in different formats they will begin to incorporate change too. The business is changing and we have to evolve. We still have plenty of clients that are only interested in traditional publishing, and that of course is our foremost concern. We believe deeply in trade publishing, but we also realize not every author has the same career path ahead of them. It used to be A, B, C. Now it is more A-Z. You are also represented by a literary agent yourself, Kathleen Rushall at Marsal Lyon. Have you been able to utilize the contacts she has made in securing publishing deals for your work, for the benefit of your own client list? In what ways has this relationship with Kathleen improved you as a literary agent and as a writer? Kathleen is a fantastic agent. Although we are peers our client/agent relationship is exactly the same as everyone else's. She rides me hard and makes sure I'm putting my best foot forward. We wouldn't be sharing contacts and such because we aren't at the same agency and her style is as different to mine as mine is to another agent. I just feel like she has a passion for picture books and makes me a better writer. I love her enthusiasm and I think she's a topnotch agent. When you are assessing prospective clients how important is their blog and online presence in making your final decision? Do you instruct signed clients on the importance of regularly blog posts? Has your expertise in building a blogging brand enabled you to assist new clients in establishing their own? The writing is most important. We can work on building a brand later on (in fiction). You were the unfortunate victim of the one of the most publicized cases of literary rejection, when a rejected writer brandishing a baseball bat attacked you in your car. Has the incident made you reassess how you word rejections to writers on the off chance another unstable individual happens to receive one? Since the attack occurred outside your daughter’s school, has it changed how you use social media to reveal location updates? Has any part of your intrinsic trust in writers or the submissions process been irreparably damaged by the attack? It has all been through the legal system now and I'm happy with the results. Honestly, I think of it as a one off thing that will never happen again. There was a children's author assaulted in a Reno hotel room one time, and that was a one of thing as well. It absolutely has changed the way I use media. I knew better than to use Foursquare as much as I had been using and in the places I checked in. I just had this 'that will never happen to me attitude'. In that I was absolutely wrong. Do you envisage a future where the submissions process at literary agencies has been transformed into one of pre-screening questions and background checks akin to a job application? I sure hope not, and I don't think that will come to pass. That layer of trust and friendship needs to be there for the relationship to work. Me asking if you've ever committed a felony takes away from that. What are you looking to represent? And how should prospective clients contact you with their submissions? I really want great historical romance, YA and MG fantasy, maybe even pop culture nonfiction at the moment. My entire wish list and submission details are here.